Hardwood Stair Treads – Quabbin Timber Inc.
Quabbin Timber is proud to offer a full line of hardwood Treads and Risers, 100% made in USA. 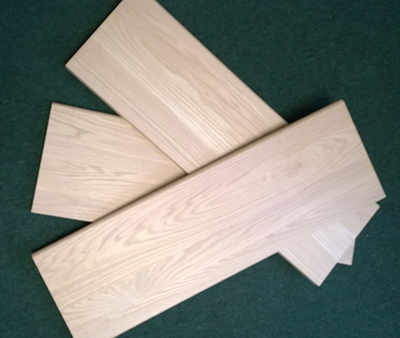 We stock a wide variety of both Red and White Oak treads. Along with blank treads we also stock return treads in several sizes. We offer left, right and double returns. Our pallet sizes are small and we are ready to ship what you need when you need it. These items are available in both Red and White oak. Have special order treads, we can handle that too. Whatever the species from Brazilian Cherry to Curly Soft Maple we are the ones to call. We also can produce custom sizes! !